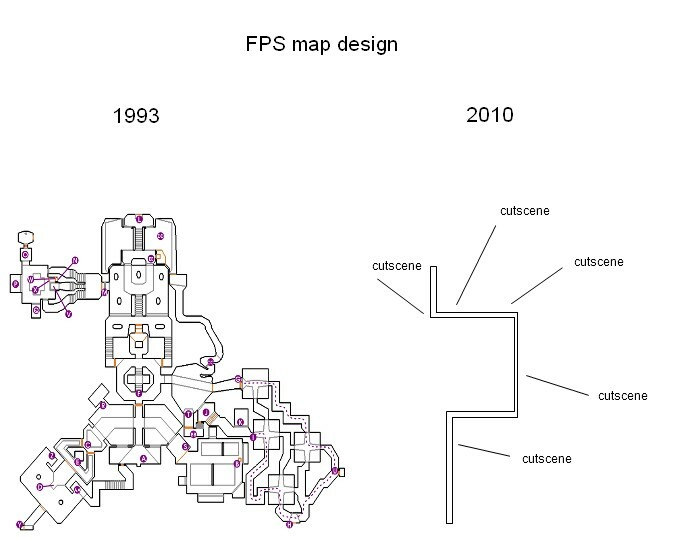 Games have changed a lot over the last twenty or so years. In the past, games were made not only to be fun but to be a challenge. The developers were small teams, sometimes individuals and it was in their own interest to make sure that you were happy with their product and got your moneys worth. Games cost around $50 ($83 these days with inflation) and you were more than happy playing the same game for months on end before buying another. Shadow of the Beast 2 (Psygnosis) and Another World (Delphine) were my enemies for the longest time. I played those games over and over, memorising every screen, every enemy movement and the required inputs needed to pass by unscathed. I never did get to the end of them, but recently I watched a play-through of Shadow of the Beast 2 and was amazed at how close I had actually come to beating the game. It is true that I have played a lot of games over the years, and finished more than enough to be content with my purchases, but it wasn't until later on that I found the need to complete games. Due to the memory restrictions with both cartridges and consoles, games usually had limitations to what you could do, except for say Elite (David Braben and Ian Bell) which used procedurally generated content. It was not uncommon for developers to add something special to the game to award you with upon game completion. The first game I ever completed that awarded the player with something special was Mario 64. I had read rumours that Yoshi was on top of the castle at the start of the game, and that the only way to get up there was to get every star. Since Youtube wasn't invented, the only reliable way to find out if this was real or not was to attempt it yourself. Technically you could finish the game with 70 stars, which a majority of players usually did and left it at that, but to complete the game you would need to collect all 120 stars. After weeks of hunting obnoxiously hard stars, I had finally gathered all of them, headed out to the cannon (which until then was inaccessible) and launched myself at the castle. Once at the top, I was greeted by Yoshi who delivered a message from the developers. I've seen "Thank You" messages in the credits before, but this was different. This was the developers using the characters to break the third wall to thank you for taking the time to obtain everything that they had included in the game. Trivia: The packaging for Mario 64 shows Mario with the winged cap flying around the castle. The only way you could do this in game was to complete the game as there's a Hat Switch on top of the castle. Nice subtle hint there Nintendo. Alas, those days are long gone. Games are now a consumable rather than a collectable (although to make a few extra dollars on the side, publishers will release a limited amount of "Collectors Editions"). The difficulty of game play has now been dramatically reduced so that gamers could easily complete the game and move onto the next, thus helping to perpetuate the vicious cycle of consumption. To get a better understanding on how the art of game completion has been lost, we need to take a look at what has happened since the introduction of video games. In the past jocks pigeon-holed games as a childish activity for nerds, preferring to measure their skill with athletic pursuits. However as computers and consoles became common household items, casual gaming became more acceptable. This was a problem for the jocks as they were now behind the proverbial 8-ball when it came to gaming skills with the nerds having years of experience over them. With the sudden growth of casual gaming, video game developers saw the chance to make bank by create games that were more accessible to new players. The easier the game was to play, the more units they would sell. The faster the game was to finish, the quicker the player would go and buy another game. Unintentionally the shift towards finishing games faster also helped to encourage the act of speed running games. "Speed Run", that term oozes jock; the act of showing others how fast you can do something just to impress them. Some have even gone to the extent of doing it blind-folded in an attempt to beat their virtual pectorals a little louder than the others that came before them. The jocks were now able to reclaim their place over the nerds by elevating Speed Running as the pinnacle of gaming achievements, and relegating game completion to the "no life" basket. With in-game achievements added to reward our game progression, we may never see a return of 100% completion rewards in mainstream games. So do yourself and the countless game programmers and artists that work on these games a favour. The next time that you play a game, don't race through it in one sitting. Spend a few extra minutes in each area to look at everything that was painstakingly created for your enjoyment. You'll be amazed at the level of detail put into the games that most people miss as they speed through. Additionally you might find an Easter Egg or two along the way.